Before Maroon 5 took the Super Bowl stage on Sunday night, a host of artists turned down the gig as a way to protest racial inequality. Rihanna, Cardi B, and others refused to perform because of the way the NFL has treated Colin Kaepernick. The former 49ers quarterback was the first player to kneel during the playing of the national anthem in the summer of 2017. Asked about it after the game, Kaepernick explained it was his way of protesting police brutality against minorities. Several players followed his lead. But, not all football fans appreciated the social justice demonstrations. In fact, many booed Kaepernick at his next games. He opted out of his contract the next season and has not been signed by a team since. He filed a grievance against the league and accused them of colluding against him. After several months of scandal and rapidly declining ratings, the league finally issued new guidelines for its players. They are expected to stand and respect the anthem, and if they can't do so, they should remain in the locker room. That's why, when the NFL asked Rihanna to headline the halftime show, she refused. Cardi B had similar reasons. She would've performed, she said, if the NFL had "hired my friend back." 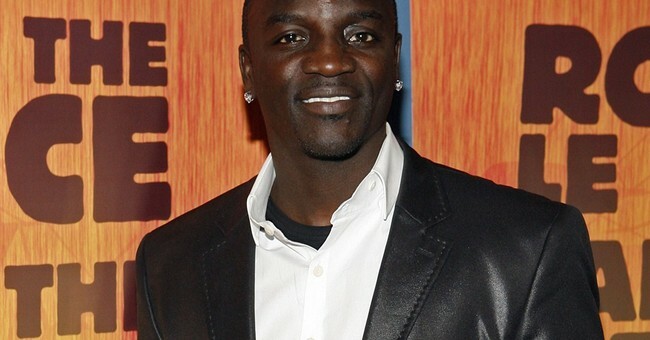 Singer Akon had a different perspective. Judging by what he told TMZ, if he had been asked to perform on Sunday, he would've said yes. He says it's "stupid" to turn down the opportunity. The singer suggested that some people take social issues and blow them out of proportion. "At the end of the day, we all got to live in this world together,” he said.